Hooray for pouches with attitude. 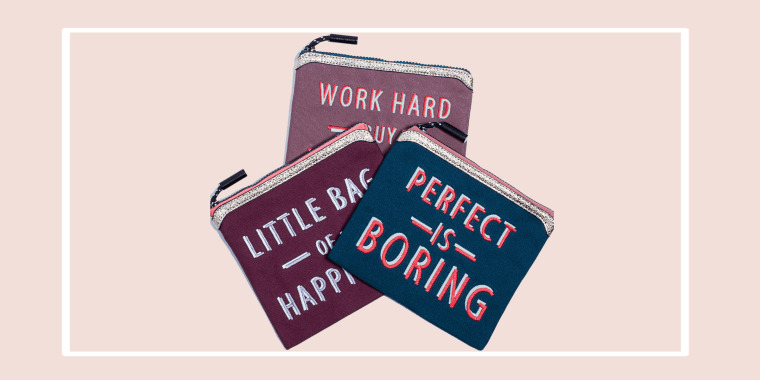 Right now Henry Charles is offering 70 percent off their 'Talk Back Pouch' bundle consisting of 3 individual pouches with cheeky sayings. These originally retail for $114! Lucky us! For today's deal, Henry Charles has bundled together three of their best-selling pouches for TODAY readers only. 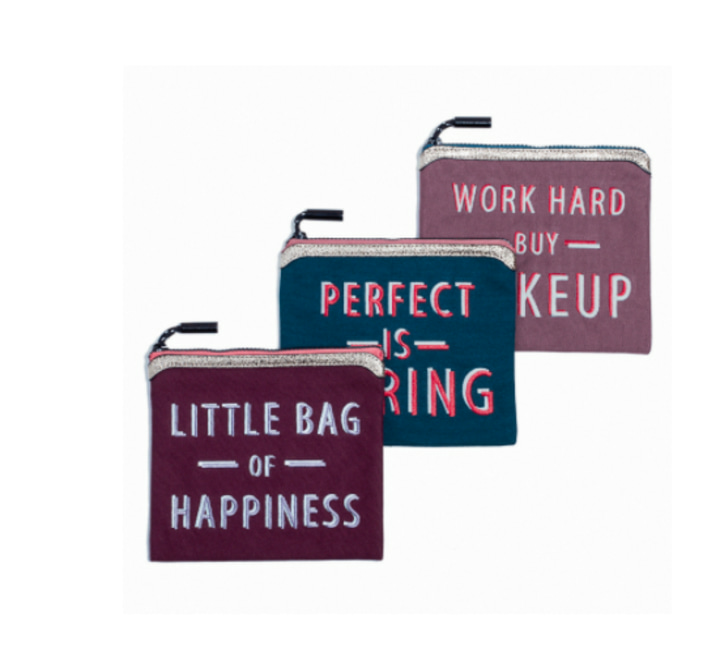 Perfect for gifting, these pouches don cheeky, unique sayings and are trimmed with metallic, vegan leather. Whether you are looking for a small birthday gift, hostess gift or even bridesmaid gift, these mini zippered clutches have you covered (and only cost $14 each)! They are small enough to fit inside your everyday tote, but large enough to act as a makeup bag, jewelry bag, or even a clutch. If you are looking for more deals, check out our list of the best things to buy at Nordstroms Winter Sale right now!